﻿Drag racers, by nature, are very dedicated people. They work endless hours in pursuit of extra horsepower and tuning tricks. 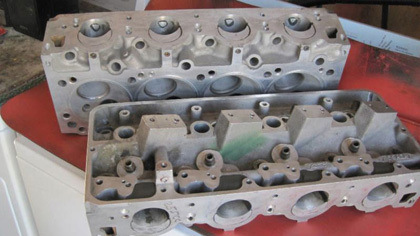 Wayne Gapp is a young man who was able to utilize his hobby (drag racing) to improve his craft (engine builder). 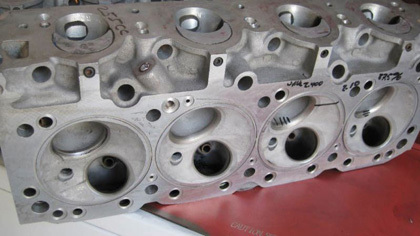 Wayne has put in countless developmental hours in Ford’s dynamometer laboratory, testing and improving the “breed” to provide Ford car owners with quality engineering. 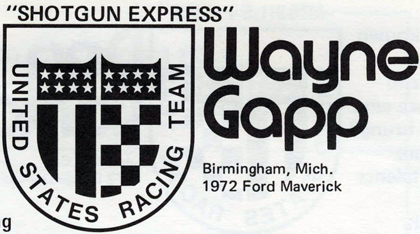 Many of the tips Wayne picked up on the job have also been applied to more than a dozen Wayne Gapp owned/driven vehicles during the past decade. 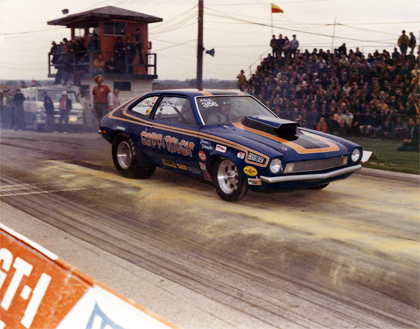 Prior to joining the professional ranks, Gapp campaigned a fuel funny car in the midwest which dominated the action wherever and whenever it appeared. 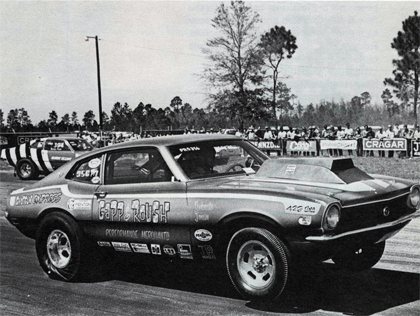 Leaving Ford in favor of his own engine building business, Wayne built a Pro/Stock Maverick with Boss 429 power. 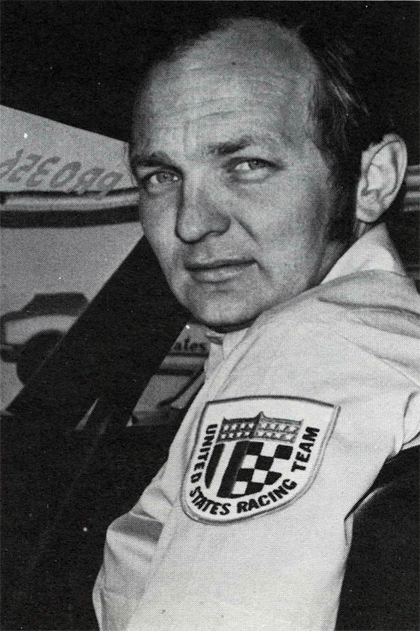 After spending three years working on the development of Ford’s mystery motor – 429, Wayne’s low qualifying times at major events were only a surprise to his competitors and the spectators. 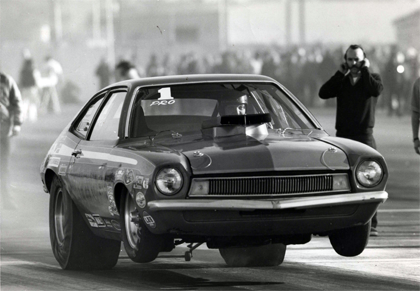 In addition, to Gapp’s immaculate Maverick, watch for a new Pinto from the Gapp-Roush stables in ’72. You can bet it will be double tough. I really don’t know much about this car. Story from Dad is that there was a hole in rules that would allow this car to run and win class in Super Stock/HA which they did at Indy in ’72. Beyond that entry I’m not sure how much they ran this car. 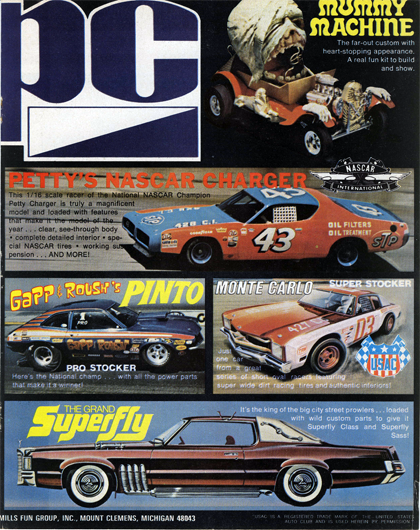 Although best known for their Ford Pro Stockers, the team of Wayne Gapp and Jack Roush actually drove a Cobra Jet-powered ’69 Ford Mustang in the early 1970’s in the Super Stock/H Automatic category. 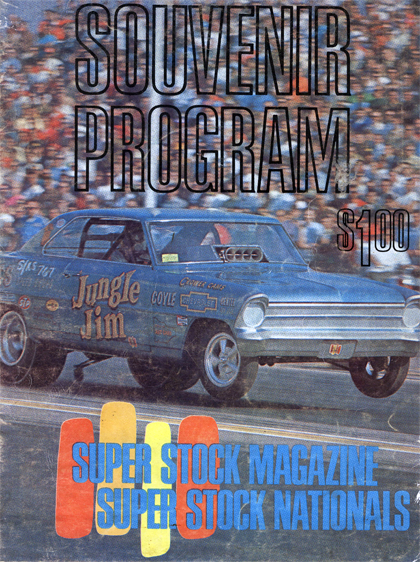 Here is some information from the 1968 Super Stock Nationals program. First the cover and then WG’s Cougar which was highlighted inside. The image below is from the interior of the program. Found this posted over at the Dover race track site. 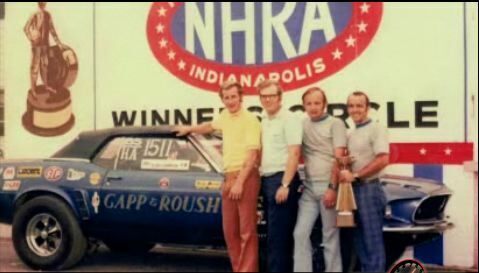 Some interesting history on the Maverick post Gapp & Roush ownership. 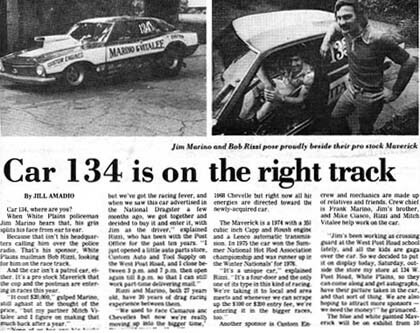 Talks about the guys that bought the Maverick. You can see a few changes in the vehicle like the hood scoop and some basic change to the paint. One of the posts noted, again, that vehicle was destroyed in a pit accident in Englishtown. NOTE: Update. Here’s the original link. Psst! Hey man… Can you spare $3k? Boss 429 heads for Pro Stock. They match up in basic design with what’s in this article. Good luck on your bidding! I’m not a huge fan of this car for a variety of reasons. I think the paint scheme sticks out like a sore thumb compared to the rest of the vehicles. Check it out. This is the right half of a full page 1970’s ad for MPC model car lineup. WHOA! The Gapp & Roush Pinto model? NHRA National Champs! I’ll take 2!! Nice shot of the 73 Pinto leaving the starting line. WG Driving. Roush in the background.